Visit the Whole Foods Market located on Cambie in Vancouver B.C. 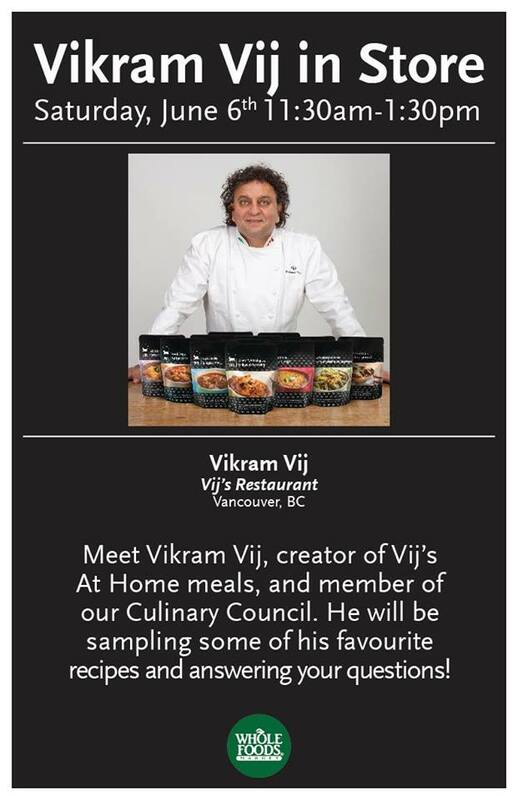 on this Saturday, June 6th at 11:30am - 1:30pm for a in store event with Vikram Vij. 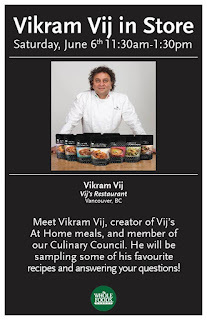 Meet Vikram Vij, creator of Vij's at Home meals, and member of our Culinary Council. He will be sampling some of his favourite recipes and answering your questions. Check it out here see the Facebook event page. A Deadly Adoption - Lifetime Movie - Tonight! Sephora - Father's Day Gifts!